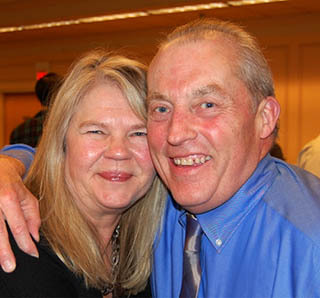 Mike Hansen with his wife Mary at the MLBA Hall of Fame induction in 2014. Mike Hansen, the past owner of Ham Lake Liquor Store passed away on February 7th. Mike was a Board Member of the MLBA from 2005 – 2016 and served as Treasurer of the Association in the late 2000s. He was a strong advocate for off-salers in the state of Minnesota and testified and lobbied state and local government many times against issues that would harm small independent retailers like Wine in Grocery, Multiple Licensing and Sunday Sales. Hansen was inducted into the MLBA Hospy™ Hall of Fame in 2014 for his years of service to the members of the MLBA. He loved to hunt and fish with his business partner Bruce Knowlan who was president of MLBA from 2006-2008. Mike also loved baseball and the Twins, he even played in several Fantasy Camps in Fort Myers.